The Solaire AllAbout is perfect for tailgaters, picnics, RVs, camping, boating, balconies & backyards – anywhere you want great tasting, juicy grilled food. 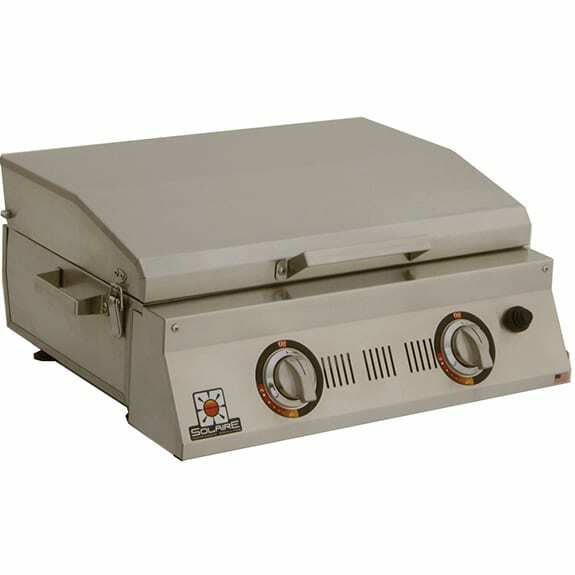 This USA made table top grill features two Solaire infrared burner, which heats up in just three minutes to searing hot temperatures that lock in the juices. Continue reading long description below. The Solaire AllAbout is perfect for tailgaters, picnics, RVs, camping, boating, balconies & backyards – anywhere you want great tasting, juicy grilled food. 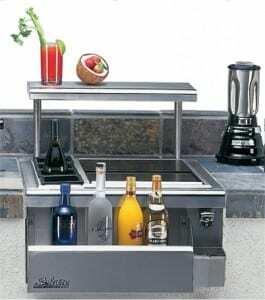 This USA made table top grill features two Solaire infrared burner, which heats up in just three minutes to searing hot temperatures that lock in the juices. 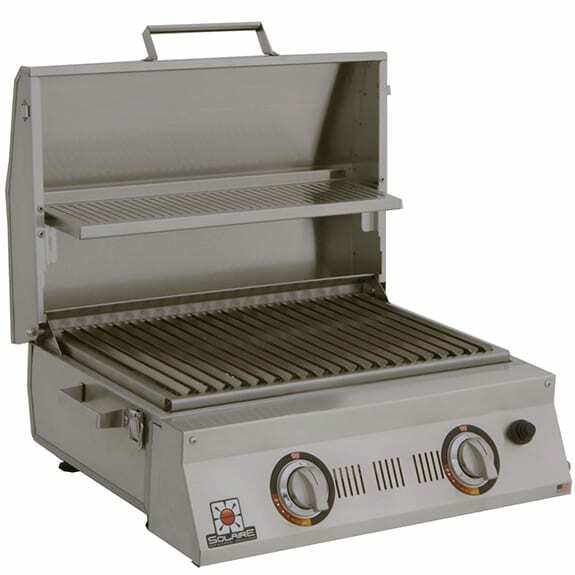 This grill has the exclusive Solaire V-grate, which improves flavor & virtually eliminates flare-ups. It also has a warming rack that is integrated into the hood that provides a “parking” area for meat and veggies and can be used for warming buns. 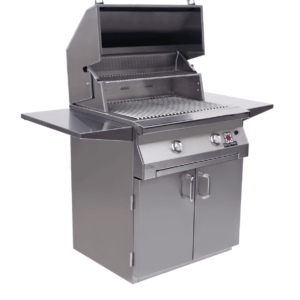 The only assembly is to attach the handles (6 bolts) & the four adjustable feet; otherwise, this fully-welded all-type 304 stainless steel grill is ready to use out of the box. 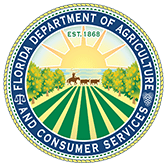 It operates out of the box on a standard 20-pound propane BBQ tank (not included) and can be used on natural gas with the natural gas Conversion kit (item #SOL-AA23NGC). 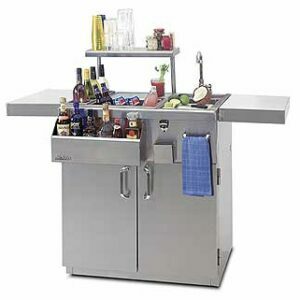 The hood, which protects the burner during transport and storage, has spring-loaded latches. The Solaire AllAbout is a grilling machine that gives you the great flavor of an intensely hot charcoal fire with the control, convenience, and consistency of gas. • Use with 20 lb. BBQ Propane Tank (not included). • USA made grills by a 100+ year old family business.